The week of March 27th, 2017 marked about five months since the devastation cause by Hurricane Mathew, which struck the southern coast of Haiti leaving houses pummeled, hundreds dead, and thousands homeless. Intense winds in the days prior to the Category 5 hurricane making landfall caused widespread power outages, leaving thousands unprepared and uninformed of what was to come. Extreme flash flooding also washed away roads and bridges preventing evacuation attempts from many coastal towns. These immediate effects of the hurricane in Cavaillon, Haiti (the location of our tree nursery) were an urgent reminder of the importance of reforestation in the Southern Region. Deforested mountain sides magnify the effects of storms, causing severe landslides and contribute heavily to flash flooding. Mature trees can have extensive root systems which absorb water, leaving the soil drier so it can absorb additional rain water in times like this. The roots themselves can also play an important role by reducing the movement of sediment and lessening run off from reaching river banks preventing flash flooding. In addition, the leaves on the trees alone can also prevent soil erosion by absorbing the impact of rain drops before the reach the soil, in turn reducing the amount of run off. Forested mountain sides have the ability to hold much more water than farm land or grass lands proving that reforestation can not only reduce the damages from storms but also provide for a greener tomorrow. I had the opportunity to meet with many locals and see the progress of past projects in the area. This tree is one of the first planted by TheHaitiTreeProject.org about 10 years ago. Imagine if we could have 1000 trees from our nursery this size in 10 years! Damages from the Hurricane could still be seen in the infrastructure of roads and housing. However, reconstruction was already prevalent and many of the damaged bridges were already functioning normally again. As for our 2016 seedlings planted in our nursery, many were not able to be salvaged and were washed away when the river bank was breached. A tough lesson learned, but as with any failure, we learn from our mistakes. Replanting this year started in January and an amazing amount of progress was made in only a couple months. The nursery, now constructed about 100 meters higher up the river bank includes seedlings ranging from lemon trees, mango trees, orange trees and several different hard wood trees. About 1000 seedlings will be nursed right here for another 4 to 5 months before they are mature enough to be planted in neighboring areas. 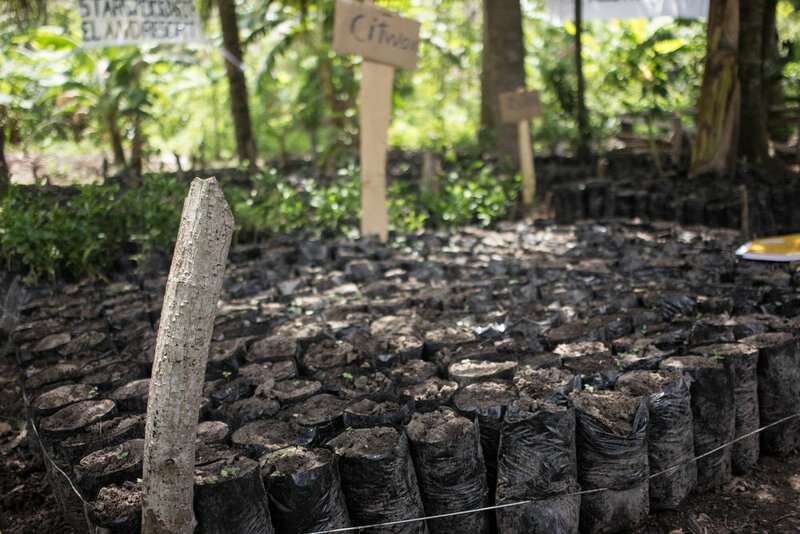 What has turned out to be most effective is working with local farmers to reforest the land. Young trees require a lot of attention for healthy growth and local farmers can provide the care while attending to their gardens. 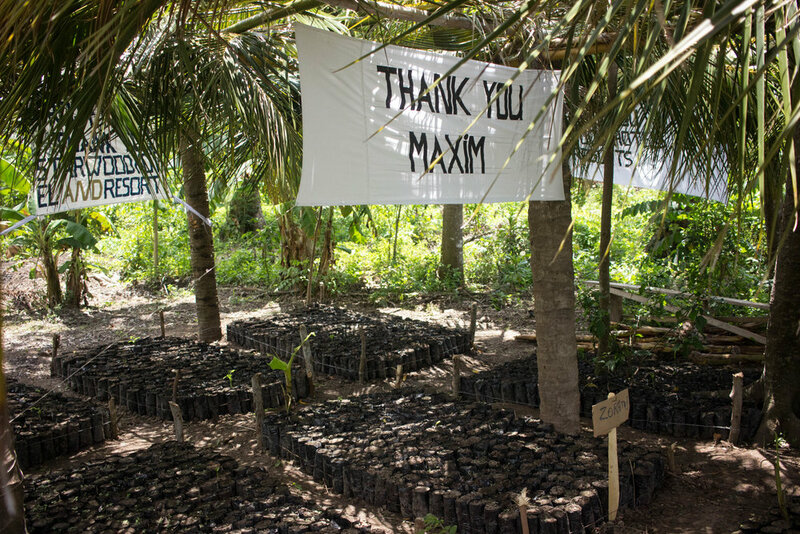 Working alongside locals gets many more people involved which spreads awareness of our reforestation efforts. The greatest weapon in this fight is turning out to be not only reforesting but also spreading the knowledge of the impacts of deforestation. Getting involved to reduce deforestation can be more of an immediate solution to this growing problem. A section of our new nursery constructed about 100 meters higher in elevation to our previous nursery to prevent any damages from flash flooding.